Take $20 off your purchase of $100 or more. Take $40 off your purchase of $200 or more. To receive the offer show the printable coupon to the cashier during the time of your purchase. 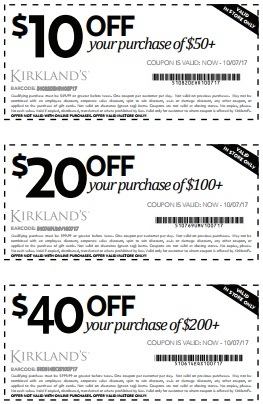 Download Kirkland's printable coupon now. For more details visit any U.S Kirkland's store location.